Chess Masters Arsenal 0-0 Chelsea | "It's all about the Arsenal"
Watching again on TV today. So Gibbs is back in place of Santos and OXO comes in for Benayoun, Koscielny is back and Diaby is on the bench. Chelsea make a host of changes for the game. Kick off.. The early exchanges are mainly between, well, Arsenal players… It seems Arsenal kicked off at 3pm and Chelsea kicked off at 3.02pm… Arsenal not exactly pouring forward. Rosicky takes the first shot in mild-anger and Cech makes a comfortable save. Kalou looks to be trying to keep the diving debate going and in tussle with Sagna goes down to easy for me, while at the other end RVP is just caught offside and it was close. 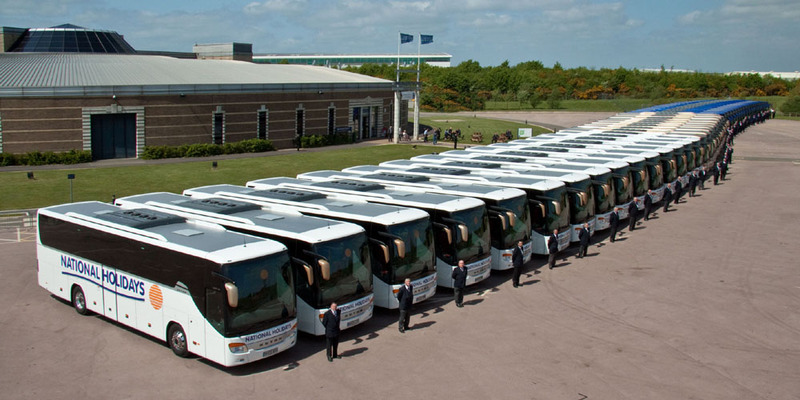 Look like Chelsea have hired a fleet of coaches to put in front of goal today. RVP hits the side netting from a free kick. This looks like more a game of chess than football. RVP is through from Ramsey pass and lobs Cech to hit the bar. Ooooooooooooo That was close… Dam, the lino had it offside. John Terry has just been verminated after a nice little disguised whack in the back from TV5 :-). Good defending now by K6 who cuts out a very good cross and Cahill skies the corner all the way down to Holloway Road. Ramsey has just had the ball taken off him again. Head up lad, you’re better than that, though the calling from team mates cannot be that great. There is a surprise. NOT!!! TR7 is the first in Mr. Dean’s book for a foul on Essien. Mata apparently scored the ghost goal v Spurs and Arsenal right now have the ghost player in young Theo. Yeeeeeeeeeeeeeeeeeeeessss!!! Sod It. Nooooooooooooooooooooooooo!!! RVP crosses and there is the brilliant K6 and looking like 1-0 to the Arsenal with the ball heading in, the ball hits the crossbar… Roman must have spent some money to buy the woodwork as a 12th man this week. Chelsea corner now… Ball comes over and there is Terry all alone and with a head like dice heads it wide. Arsenal defence just ball watching. S13 is not a happy bunny and sends out the message to his defence. The old ball over the top Song-RVP ploy and with the ball at his feet RVP hits it straight at Cech who makes a comfortable save., A few weeks back and that is 1-0. RVP going through that barren striker phase and could not score in a brothel right now. A quick break from Arsenal and the ball is with Oxo who for some reason instead of going at goal, stops and comes back, he gets a shot in but it is blocked by @TimPeyton, sorry Cahill. HT and it’s 0-0. Not the best of halves from either side. Looks like both sides too scared to go for it. No outstanding player for either side, maybe Kos and the Verminator in with a shout. The teams come out for the second half. A half time team talk from Garry Kasparov and Bobby Fischer. King to pawn 6 will win this game. Early chance falls to Torres, who at first gets past K6, but the guy is so fast K6 gets back to knock it out for a corner before Waste if money can shoot. Chelsea looking to play more attacking 4-4-2 chess game this half. Now it’s Sturridge’s turn to be Verminated as TV5 gets in a superb tackle. Walcott looks to have pulled a hammy. Theo comes back on only to go back off after trying to run after a ball down the line. Why did he come back on? That is surely him our for remainder of season with Arteta. RVP lines up a free kick and aims at the person sitting in block 128, upper tier, row 50 and just misses him. Time for TR7 to replaced by Diaby. Apparently TR7 has not been well all week. Ramsey flots a lovely ball over the top and RVP is shaping his body to hit a Robin classic, but as is RVP right now, it goes high, wide and handsome. Mata scores but is flagged offside… Ha Ha Ha!!! Diaby is now in Mr. Dean’s book. The graphic shows his first yellow of the season. Not sure he has played 90 mins. The ball is dinked into the area to RVP who looks to be pushed in the back by Cahill. PENALTY!!! I’ve seen the given. Dam!! !Santos is now on and looking lively. Cashley Cole now kicks out at Song and picks up a yellow. He kicked out, that’s a red for me. Gervinho runs at pace into the area, passes short to RVP who twists this way, then twists that way, then twists back the other way thinking he is Chubby Checker and shoots straight at Cech. Should have hit it on the second turn their RVP. Chelsea’s turn and the ball looks to be falling every nicely for Sturridge to open the scoring and right from nowhere comes the saviour in the form of Bruce Lee who makes a superb tackle and Sturridge wonder where the Kung Fu K6 came from. K6 is a monster of a centre back. The last few minutes and both teams now trying to go for the winner and yet making no real chances. A final corner for Chelsea is cleared and Mr. Dean who was alright today blows the final whistle and both teams end check-mate. Maybe after the 5-3 at the bridge this game had 0-0 written all over it? I suppose the draw does put us 6 pts clear of Spuds and Newcastle for a short period and Arsenal do have the better +GD which is also worth a point. Newcastle have run out 3-0 victors v Stoke RFC who are no doubt sharpening their knives and practicing their long throws for Arsenal’s visit next weekend. Newcastle still have to play City and Chelsea. Spurs are currently 0-0 At Loftus Road as I type. I am not one for knocking players, but I feel Theo maybe missing for the last three games and this could be a blessing in disguise. Gervinho could step up playing the last three.